In the spirit of today being World Book Day, we have compiled a list of some of our staff’s top book recommendations for e-learning leaders. These books fulfill different needs in our lives, whether it is to inspire or inform. Through reading, we can learn skills, adopt new perspectives, and experience personal growth. Books embody themes that translate to our everyday lives, and additionally, convey new ways of thinking that can strengthen organizations. 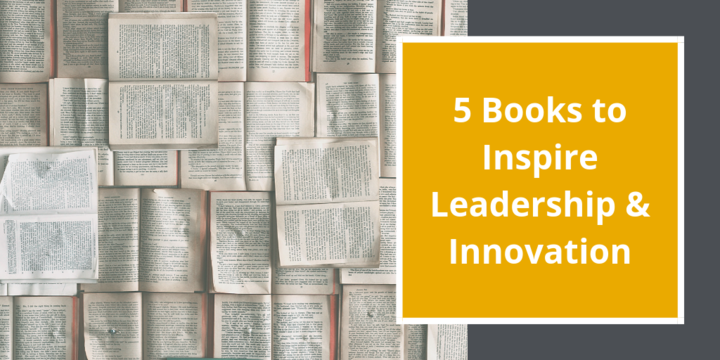 The five books we listed provide core strategies for empowering leadership and inspiring innovation. I hope you enjoy our recommendations and learn something new! In her debut book, Tracy highlights common mistakes associations make with their learning programs, and also provides a strategy that will take your association to the next level. Is your leadership style effective? Are you inspiring those around you? This book forces an interpersonal examination to combat self-deception and encourage an environment of trust, teamwork, and enthusiasm. Steve Jobs is an icon and an inspiration whose drive for perfection revolutionized the technology sector with an emphasis on user experience. His life and work are a source of inspiration for not just those in the technology sector, but also those who aspire to pursue innovation, push boundaries, and lead a purpose-driven life. Unlike other leadership books, this one provides a comprehensive model for leadership development, not just for yourself, but for the entire organization. By recognizing leadership is a collective effort, the authors outline strategies to become a mindful leader who can drive personal growth within the entire organization. For those who work in web design, this book is a must-read for developing a common sense approach to web design and functionality. The author argues good web design begins with understanding the instincts of the user and should be so simple that users barely need to think to operate it. This is an excellent book to encourage approaching design in new ways. To kick off Peak Bootcamp our keynote speaker, KiKi L’Italien, discussed the importance of community. Who is your community? What are some shared experiences or interests that bring your community together and create a purpose for them to engage and interact with one another? These are a few questions to ask yourself and your team to help develop a clear concept for the best approach to building a strong community. Take the time to understand your members and peers. By doing this, you are quickly showing them that they can have trust in you and your organization. KiKi’s keynote presentation really dove deep into how to build a core community and ways to incorporate virtual elements that allow you to extend your reach to every person that belongs regardless of location. During Peak’s Devil in the Details session, the team from the National Association of Social Workers (NASW) shared that their key to putting on successful virtual events consists of a good partner and seamless communication from beginning to end. Building a strong event communication plan allows all key players to have clear expectations of their tasks from all sides of the event planning process and in return, increases productivity leading to a successful outcome. Before you consider the production of your virtual event, you have to think about some key factors. This is where inspiration, learning, and training come into play. When planning an event it’s crucial to consider the inspiration. By doing this you are creating a learning opportunity that brings together a core purpose that is relevant to your audience and makes the remote learner feel like they are onsite with the speaker. Other things to consider are using best practices that can help your audience and think of specific ways that add to the training that they are receiving by including a credit or social opportunities. Don’t be afraid to take risks, even if they include stepping outside of your organization’s niche focus. Today, sharing relevant thought leadership ideas that pertain to topics such as culture, diversity, and inclusion may not be relevant to your association, but they are relevant to the lives of your members. 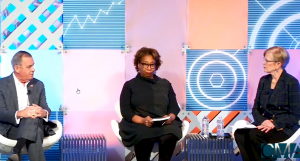 As we spoke with Tonya Muse, Executive Director at the Council of Manufacturing Association (CMA), she discussed their decision to take a risk by planning a session based around social bias within the association community. No detail is too small and what is common sense to one may not be to another. It is important to think through every detail, including contingency plans, and to relay all relevant information to the key players. You may not think you need to tell a keynote speaker what to wear, but if your event is going for a certain look, make sure you share the dress code. Planning a virtual event is completely different than an in-person event, so when you are considering a hybrid event, it’s important to consider all details from content, production, staff roles, branding, camera placement, and so much more. A strong partner will help you navigate the planning and execution, though. 6. Don’t panic, most people are tardy for the party! If you’re concerned about your registration numbers, don’t be! NASW discovered that most of their attendees registered the same week of their event. 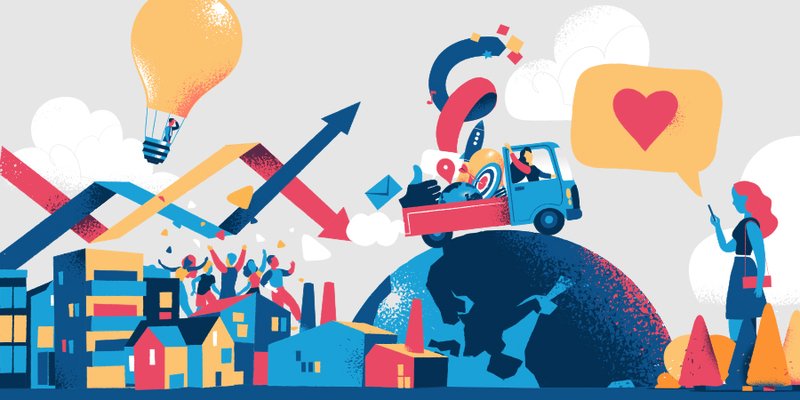 It is crucial, however, to have a clear promotion plan to ensure the event is reaching your intended audience via organic and/or paid social media, email campaigns, and word of mouth. One thing that our audience discovered during Peak was that a virtual event setup takes much longer than you might expect. According to CommPartners multimedia producer, Bryan Ranharter, the Peak setup at Spire took the team about 2 ½ hours to complete. It is essential to give your tech team ample time to test all the equipment, conceal the wiring, check the audio, and the list goes on. When putting on a virtual event, it’s important to think of any and all ways to get your remote audience engaged in what’s happening on site and interacting with the speakers. During Peak Bootcamp, our team utilized our virtual engagement tool that allowed our remote audience to upload photos from their location, engage in a live chat, share their thoughts on the session through an interactive mood indicator, give input via live polling questions and even enter a live raffle for the chance to win a fun prize. During this session, they also encouraged our onsite audience to get involved by logging in and getting a glimpse at how we were engaging with our remote audience. It’s exciting to use these types of tools and see the remote audience come to life with their responses, comments, and questions. Peak Bootcamp speaker, Erin Snyder from Consumer Bankers Association (CBA), shared with our audience how they monetize sponsorship through webinars. A few key takeaways that Erin shared was to protect your brand by steering clear of sales pitch content, get insight from your membership to understand what it is that they want to learn about, and embrace your technology by working with your event partner to stay up to date with new features and ways to engage and interact with your online audience. NASW addressed the fact that, yes, some organizations have their concerns about producing and hosting virtual events. What will the registration look like? How will we engage the audience remotely? However, based on NASW’s positive experience, they confidently encouraged the Peak audience to take a chance! At first, planning and implementing a virtual event might seem a bit scary, but try one because you might be surprised how well your community responds to the idea of virtual events. Looking for some direction on where to begin? Consider a hybrid event for the perfect starting point. By incorporating an onsite audience and a virtual audience into the event, your organization will still be able to have the in-person format that you might be used to, but also break the barriers of travel by allowing those who may have scheduling or cost conflicts to feel included with the ability to engage remotely. Additionally, virtual events do not take away from those willing to travel to your event, but instead, extend your organization’s reach to those who might not be able to attend otherwise. When organizations consider holding a livestream program from a place based conference or a completely virtual event, a common question asked is, what content will be compelling enough to get people to pay attention? Click to view the livestream. Several weeks ago CommPartners was asked to livestream a session for the Council of Manufacturing Associations (CMA) in cooperation with the American Society of Association Executives titled: Unconscious Bias: An Association’s Role in Social Issues. The program originated from CMA’s Winter Leadership Conference that took place at the Four Seasons in Baltimore, MD, on Friday January 11, 2019. The archive of that event can be accessed here. Of all the possible topics to livestream, CMA chose this subject because they knew, organizations are wrestling with their role in today’s political and social discourse. It’s a topic that transcends professional development training and presents an opportunity for community conversation and engagement. CommPartners’ role was to bring this session to the remote audience and to make them feel as if they were onsite and provide opportunities to share thoughts and ideas. Taking risks and considering alternative formats for livestream programs can position your organization to extend your reach and impact. It can place you at the center of important conversations we are all having. They greatly increased their profile to individuals and groups who otherwise would not be aware or involved with the CMA. Attending an onsite conference is expensive. By offering a session like this one, they were more inclusive and recognized the importance of reaching out to those who could not afford to attend or didn’t have the ability to travel or leave their homes or offices. CMA, along with ASAE took the lead in forging the conversation around hidden social bias. They showed who they are and what they are about by addressing the topic in public way. This showed is pays to be bold. This was a session from the heart. Online attendees were touched by the format and conversation. The session used a dramatic delivery that worked well to engage those in the room as well as those online. You had to walk away with a wow feeling as you watched the event. It’s the type of session that creates interest and a positive feeling about the host organization. If you are a member, it solidified your feelings about your investment. If you aren’t a member and this was your first experience, you had to walk away impressed. This program was a collaboration between CommPartners, Council of Manufacturing Associations and the American Society of Association Executives. It was an important topic that has relevance to the greater association community. As the production company, we were proud to help extend the reach of this session to online viewers around the country. Online communities have become a valuable component of an organization’s engagement strategy. According to the advisory firm IDC, the online community market will reach $1.2 billion dollars by 2019. A University of Michigan study found that customers / members spent 19 per cent more after joining a company’s online community. Paralleling the growth of online communities is the expansion of the virtual event market. Virtual events include virtual conferences, virtual trade fairs, livestream programs, webcasts and live courses. Market Research Media states, this market will grow from $14 billion annually in 2018 to $18 Billion annually in 2023. Online communities and virtual events bring people together to exchange ideas, network and learn. 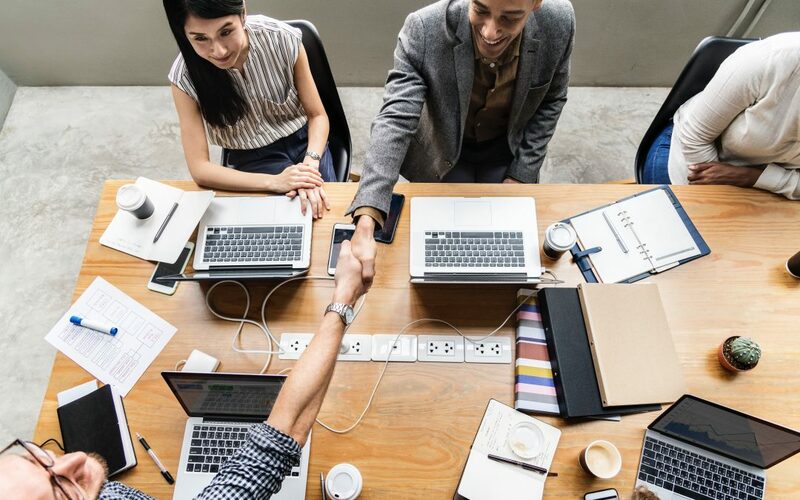 Since they basically do similar things, there are advantages to connect these two offerings to provide greater participation and engagement. The premise is based on the knowledge that participants are already psychologically committed to their community. They established their picture and profile, have made connections and are accessing resources. In integrating and offering virtual events, participants can continue to use current features. Support for registration and access will be in place. Integration of community and virtual events is now possible through Higher Logic’s integration with a virtual conference site through CommPartners’ Elevate Platform. Positioning virtual events as an added resource to current engagement vs a separate offering will increase the likelihood someone will register. A trust has been established and participants have already bought in to the value they are receiving. Attendees can use their picture and profile that’s already established in the community for each event. Adding virtual events will nurture greater commitment and participation in the community. Attendee participation in virtual events will be counted in the community’s reporting of individual and overall engagement including the rewarding of ribbons and badges. 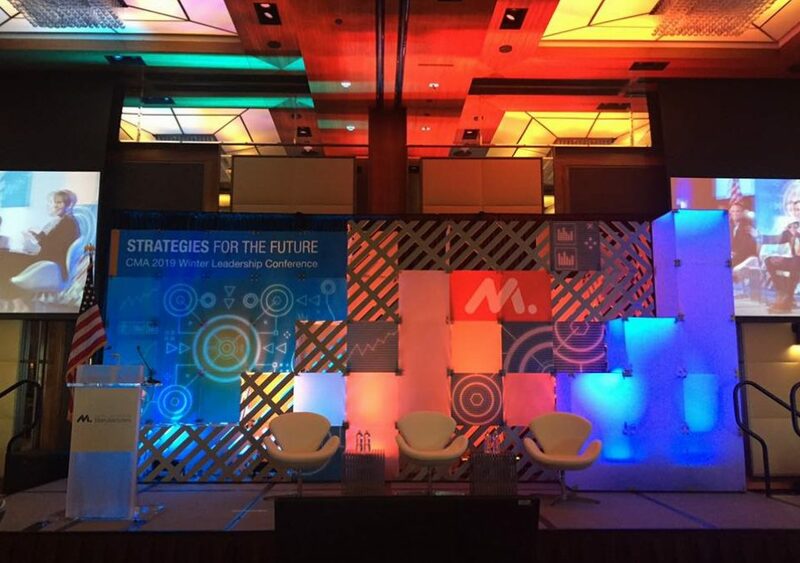 Conversations that begin in an event can seamlessly evolve once the event is over. There is a belief that sharing of knowledge that occurs through a community, an LMS or virtual events should not be segmented and separate. If we can have these resource integrated and seamless, both the learner and organization will benefit.